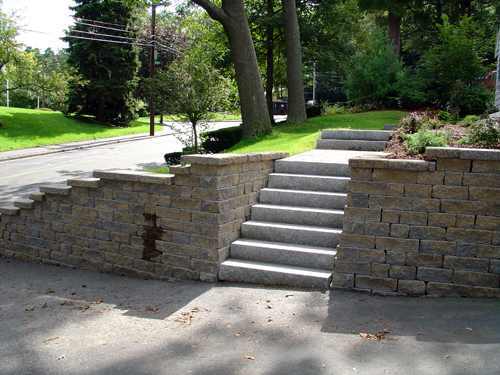 What makes retaining walls so challenging is their strength, which is best illustrated by the incredible loads they carry, known as lateral earth pressure. This is created by more than just the weight of soil. Water behind the wall causes buildup of hydrostatic pressure which is the reason for most wall failures. Only through adequately designed drainage structures and waterproofing can the best designed wall survive over time. 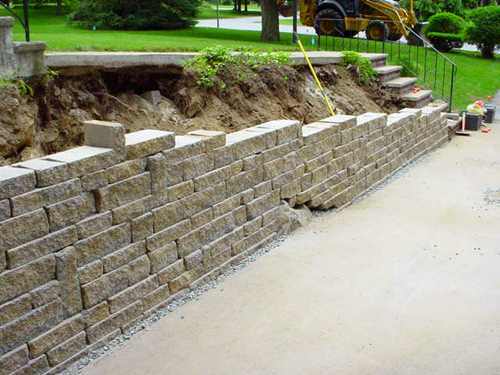 Retaining walls are divided into two types divided by their height. 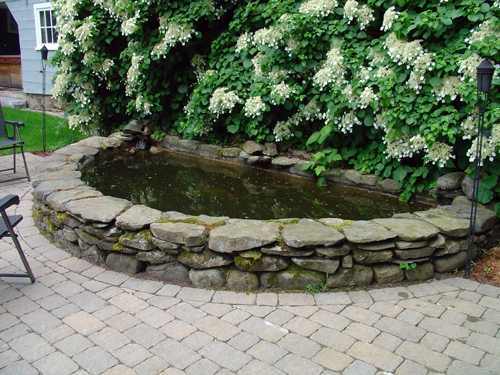 Walls under four feet are designed and built by your contractor or per a landscape architect's drawing. 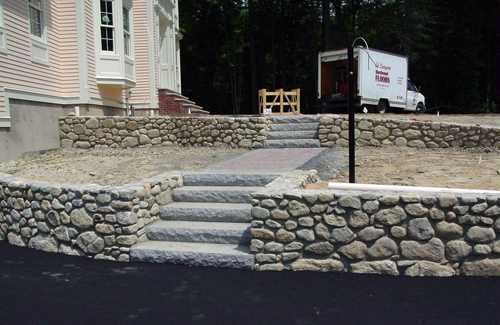 Retaining walls over four feet require much larger footings due to the increased lateral earth pressure. It must be designed by an engineer who will specify the size and extent of footings and the amount of steel reinforcement required according to strict loading calculations. Building permits often require these structural calculations due to the damage caused by retaining wall failures. This not only destroys your investment, it can cause significant damage to people and property, which puts the homeowner at serious liability. This is particularly important where slopes are unstable and the climate suffers periods of heavy rains that can lead to super saturated soils and catastrophic mudslides. California communities may require additional earthquake related design criteria. 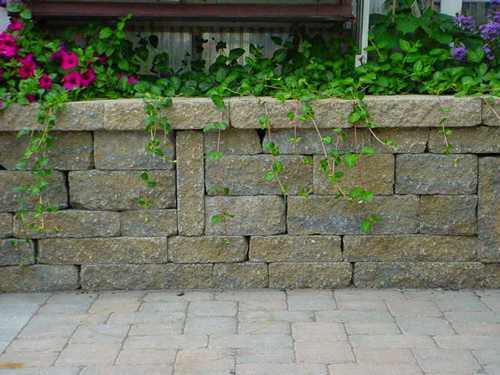 Retaining walls can be a do-it-yourself project when constructed of wood. 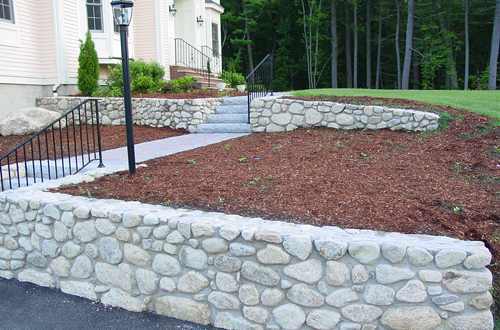 These short timber walls are an affordable solution to erosion and runoff control. 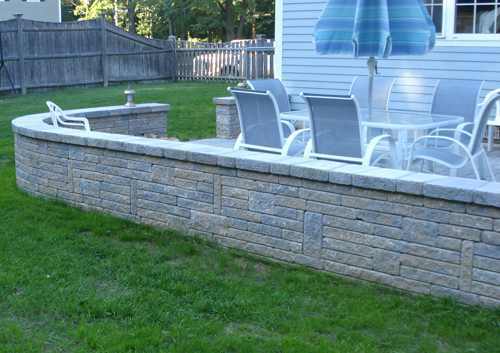 Concrete block retaining wall systems are growing in popularity due to their improved aesthetics and single wall construction that requires less surface area to achieve optimum strength. 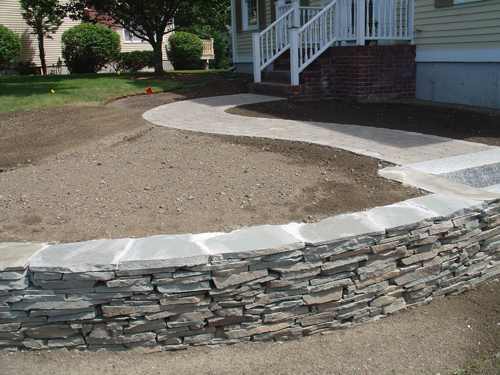 Dry stone walls are a regional art form and those from colonial times can still be functional today. 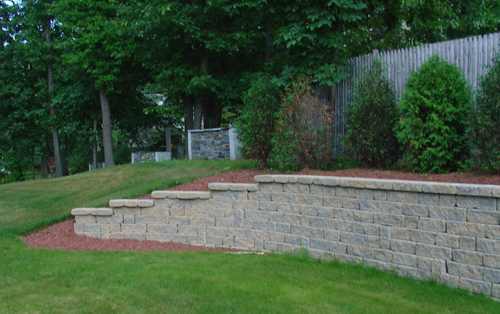 The time tested veneer wall is the landscape architect's choice for high end landscaping. With its functional concrete masonry unit (CMU) core, there is no end to the options for swanky stone or brick veneer. 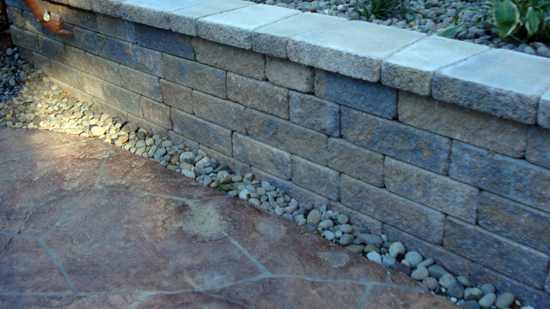 This choice offers the designer unlimited options for making each retaining wall unique to a home site and allowing it to lend style to outdoor living spaces. Always remember that however beautiful these walls may ultimately be, they are a powerful structure that must function as designed. This can only happen when they are composed of the proper materials and constructed by quality contractors. Get these things right and you’ll be able to count on your financial investment maintaining both beauty and integrity for many decades to come.